Where do I begin with The Lost Bear from Oddbug Studio & Fabrik? Plain & simple it is absolutely the most charming thing you will play all year. It tells the story of Walnut, who gets separated from her family in the forest, and it follows her on her brief but beautiful adventure. The story itself is a retelling of the Director Dan’s real life story of his sister going missing for a day, who miraculously reappeared later that day with not a scratch on her. Art imitating life. This is a 2D platformer made specifically for PSVR, which has recently been release on PS4. The game has been made with such care and attention, from the original music from the Directors Grandfather, to the hand painted art style. What I love about this game is its presentation. It is without question how other studios should look at, and how they can learn from it. When I originally heard about it, I was intrigued, a 2D platformer on PSVR? Ok…and how much I was proved wrong. From the clever use of the PS4 controller, which I won’t spoil, to the wonderful way you are immersed in your own private theatre watching how the adventure in front of you plays out and the way the PSVR is used in the game. Clever and wonderful in equal parts. The music is by both Dan’s Grandfather and Jamie Finlay (@imakeaudio), and Jamie has managed to create a wonderfully apt soundtrack that sits perfectly with the world. 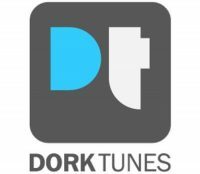 You can hear more about the soundtrack in my chat with him in the latest episode of DorkTunes, which is available on the website, iTunes and all your favourite podcast apps right now. You begin having lost your favourite teddy, and your adventure begins. One thing The Lost Bear isn’t is long, you can finish this in one superbly enjoying sitting at roughly over an hour. In the game you use a slingshot to work your way as Walnut through this world seeped in beautiful autumnal colours of browns, reds, yellows and greens. It creates a wonderful world where you really do feel part of the story. There are different levels throughout, from an underground sewer to a large and very strange factory. Using your slingshot to shoot tyres, bells and the occasional bee too. Oddbug is a studio that has taken real time and care in developing Walnut and her wonderful adventure both in story, setting and sound, and all in VR. All in all, The Lost Bear is short, but truly wonderful and warming experience that everyone with a PSVR needs to try.